Libra Lionheart – No one made a greater mistake than he who did nothing because he could only do a little. In a results-oriented world, where decisions are often made based upon the success or failure of an act or action, what speaks better of the Endangered Species Act (ESA) than successes of the act itself. Imagine a world today without the American Bald Eagle, American Alligator, Whooping Crane, Peregrine Falcon, American Gray Wolf, Grizzly Bear, or California Condor. And yet without the ESA, these iconic animals would almost certainly no longer be around today. And while that fact alone should put an exclamation point on the success of the ESA and eliminate any further efforts to dismantle or weaken the act, how embarrassing would it be to live in a country that had an extinct species as its national bird, solely because we could not even bring ourselves to put forth an effort to protect the bald eagle. However, if not for the ESA, that likely would have happened. Equally important, other species still on the endangered species list that almost certainly would no longer exist include the Florida Panther, West Indian Manatee, Polar Bear, Wood Bison, Jaguar, Jaguarundi, Ocelot, Northern and Southern Sea Otters, Prairie Dogs, Pronghorn, Bighorn Sheep, Stellar Sea Lions, and a variety of species of Whale. 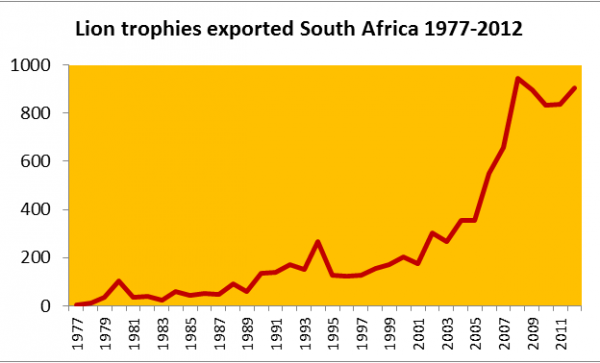 As the saying goes, “if it ain’t broke, don’t fix it.” The mere fact that the ESA has been this successful in preventing the complete eradication and extinction of such beloved and iconic animals suggests that we should not be talking about weakening of the act. If anything, we should be discussing how to strengthen it even further. Unfortunately, while the Endangered Species Act was overwhelmingly passed in 1973 by a bipartisan Congress, it has not been without its detractors who have desired to weaken or even dismantle the act. However, the threat to this historic act has never been greater than it is today. And unfortunately, those critics of the ESA have also misled the public, to suggest that the act has failed; when in fact, the exact opposite is true…with 93% of all animals on the list either recovered or on track for recovery. And given that the overwhelmingly majority of the American public remain in support of this act, it is vitally important that our congressional representatives hear our voices. The American public also needs to understand that those desiring to dismantle the act pursue their efforts for personal gain and selfish motive, contrary to the best interests of our country; and of course, the animals that we are trying to protect. The battle for animal protections often has been shouldered by animal activists and by organizations that are often mis-characterized by those with opposing agendas as “extremists”; as if living life with a compassionate and caring for all living beings is somehow wrong. Unfortunately, if someone dares take a position that appears contrary to human consumption of the planet, they are painted with that broad brush of extremism. They are criticized because they don’t have that same view of economic exploitation; that profit maximization should stand head and shoulders above all else, and life is some type of zero-sum game. And they are criticized because they have a reverence toward all living things, and a belief that as humans, we have a responsibility to protect the environment, and to leave the world a better place for future generations. To me, that sounds like a pretty good thing. But as the owner of a small business and of someone with a generally favorable view of capitalism, I probably do not fit the category of typical animal or environmental activist. However, I count myself as one of those who speak for those who cannot speak for themselves, and I strongly disagree with the view that if someone can make a dollar, and it is not specifically illegal to do so, they should be allowed to pursue profit. Ethics and morals seem to be in short supply these days, and to pursue capitalistic goals without considering the ethical or moral impact of those goals is a very narrow minded, selfish view of life. Marianne Jennings, Professor of Legal and Ethical Studies with Arizona State University refers to choices people make under a “Could I – Should I” mentality…with “Could I” reflecting the legal aspect of the decision and “Should I” representing the ethical or moral aspect of the decision. Unfortunately, decisions are often made based solely on “Could I”, with no consideration as to how that decision may harm or detrimentally impact others. The attack on the Endangered Species Act is just that; an effort to dismantle or weaken, without consideration of doing what is right ethically or morally, or of doing what is in the best interest of all impacted parties: humans and animals. While I maintain a strong view that animals deserve protections, and that all creatures have a right to co-exist on this earth, animal activism is not limited to protections of animals, but also to preserve these beautiful creatures for the enjoyment by future generations. Why should future generations be precluded from having the same opportunities that I had as a child then and as an adult today? Or even better, why shouldn’t future generations have even a better opportunity to experience wildlife and nature than I have? We should all strive to leave this world a better place but unfortunately, because we have often sacrificed our ethics and morals for a quick dollar pursuing capitalistic interests without any concern for the short-term and long-term impact of our actions, we are quickly leaving the world worse for future generations, not better. In 1966 and 1969, Congress passed earlier versions of legislation designed to protect those animals that were on the precipice of extinction, but it wasn’t until the historical legislation that President Nixon signed in December 1973 that Congress and our President decided that the protection of animals, plants and other species was a worthy and noble cause; and that without immediate action, many of these species would disappear, never to be seen again. Think about this in terms of today’s partisanship politics. Senator Harrison A. Williams (D – NJ) introduced the Senate Version of the Endangered Species Act (ESA) and was unanimously approved by the U.S. Senate on July 24, 1973. The House of Representatives approved their version of the bill on September 18, 1973 by a margin of 390 – 12. A conference committee then reconciled the two bills and President Nixon signed this act on December 19, 1973. The ESA was clearly recognized as a bipartisan necessity by both parties and by the vast majority of Americans as an important and necessary act to ensure the preservation of species and vital to ensure that future generations had the same opportunity to coexist with these beloved creatures. And equally important, or even more so, the protections of these animals was and is necessary to preserve the delicate balance of the ecosystem; and that when a species is removed from the ecosystem, the damage is felt both felt both upstream and downstream throughout the chain. Of course, that act was introduced 45 years, enacted by the 93rd Congress and signed by the 37th President, and the ESA faces a current 115th Congress and a 45th President that apparently (1) do not appreciate the importance of this act and that loss of any animal species due to events other than natural selection will have a detrimental, long-lasting and perhaps permanent impact on our ecosystem, (2) have little concern that the American people may one day no longer see these beautiful creatures in the wild; or (3) have allowed the influence of money from certain organizations and industries to cloud their ethical vision and are now willing to push back against legislation that was and still is overwhelmingly supported by the American public. Further, the 115th Congress is comprised of individuals such as U.S. Rep. Rob Bishop of Utah who “would love to invalidate” the law because it has been “misused for control of the land”. He has commented that the ESA “…has never been used for the rehabilitation of species. It’s been used for control of the land,” Bishop said this year. “We’ve missed the entire purpose of the Endangered Species Act. It has been hijacked.” No. The true hijacking of the act is by people such as Mr. Bishop who desires to dismantle the act on behalf of industry interests in his state, and contrary to the desires of his constituents. According to a study by Mother News Network, from 1996 – 2010, Congress averaged 5 bills per year designed to weaken and strip the ESA of some of its protections. In 2011, when Republicans took control of the House, there were 30 introduced bills, an average of 40 bills introduced per year through 2016, and at least 75 bills introduced in Congress since January 2017 to weaken, dismantle or effectively make the ESA useless in terms of animal protections. And certain members of Congress clearly have a disdain for the ESA. However, that view is not representative of their constituents. So, if these Congressional members are not representing the best interest of their constituents, then exactly who are they representing? 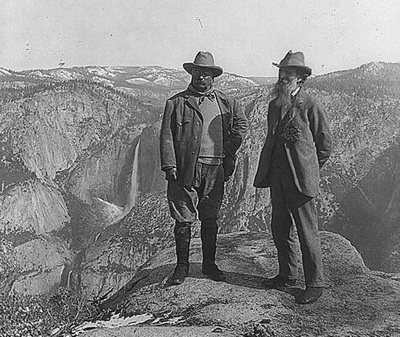 It is no secret that the Western states have long had a disdain for what they view as federal reach and oversight of western lands, and to be fair, the federal government does own a lot of land. Congressional Research Services’ Federal Land Ownership: Overview and Data, published a March 3, 2017 indicates the federal government owns 640 million acres of land, or approximately 28% of the 2.27 billion acres of land in the United States. However, this is heavily weighted in the western states, where the federal government owns 61.3% of Alaskan land, and 46.4% of land in the other 11 western states. This compares to only 4.2% in non-western states. So, it is no secret that much of the effort to dismantle, destroy, or at the very least, weaken the ESA also comes from legislators in the western states. And it is no secret that David Bernhardt is a former oil lobbyist and lawyer who counted Independent Petroleum Association of America as one of his clients. And it is no secret that a significant portion of western industry interests include oil and gas extraction, ranching and mining. So, it’s not overly difficult to identify those behind this effort, and given that the current administration has a disdain for any legislation, law or protection that would dare prevent someone from eking out an extra dollar, these groups and political representatives view 2018 at the year to truly inflict permanent damage on an act that is supported by the majority of the U.S. citizens. Critics of the ESA have argued that this legislation should be reformed (or repealed) because public support for animal protections has faded over time, and therefore, supports this push to dismantle. So, to determine the accuracy of this statement, a team of ecologists and social scientists from “Conservation Letters” gathered data from several sources, including a national survey they conducted in 2014, as well as other published studies and polls spanning two decades since the mid-1990s. By combining data from all this research, the study’s authors found that “support for the Act has been remarkably stable over the past 20 years. As noted in the table below, more than four out of five Americans support the ESA, the data show, while only about one in 10 oppose it. The most recent studies were conducted in 2015, 2014 and 2011, yet their results are “statistically indistinguishable” from those of the earliest study, which dates back to 1996. And while this should come across as no surprise that certain Congressional representatives are pursuing a legislative agenda benefiting well-financed mining, ranching and oil / gas extraction industries and individuals, rather than representing the best interests of the majority of their constituents, acknowledging, and accepting are two different things. In fact if anything, these polls indicate not only overwhelming support of the ESA by the majority of Americans, but that opposition against has actually decreased from 1996 and 2015. So, why should we continue to support the ESA and what is the purpose of the ESA? The Endangered Species Act was passed to (1) prevent the extinction of vulnerable species throughout the United States; and (2) to recover a species’ population to the point where listing the species as endangered or threatened is no longer necessary. The fact of the matter is that while the ESA has exhibited an overwhelming success rate more than 90%. In celebration of Endangered Species Day 2012 (which also marked the 40-year anniversary of the ESA), the Center for Biological Diversity studied in detail the actual success of the ESA and published a report entitled On Time, On Target: How the Endangered Species Act Is Saving America’s Wildlife; and it offers a contrast to those detractors suggesting the ESA has failed. Their study focused on the actual recovery rate of 110 different species, which represented a range over all 50 states, included all major taxonomic groups and a diversity of listing lengths. Of these species, they determined that 90 percent of the species were recovering at the rate specified by their federal recovery plan. They also determined that it takes an average of 25 years for a species to fully recover and that 80% of the species have not even been listed long enough to warrant an expectation of recovery. Their analysis also concluded that the average age of listing was 32 years while recovery plans require approximately 46 years of listing. Those detractors and those presenting the false narrative would have the reader believe that an animal placed on the endangered species list should be fully recovered the following day. This is no different from someone announcing that they are going on a diet, and then expressing shock and surprise that they are still carrying that additional 50 pounds on their body the following day. That 50 pounds was not gained overnight but was representative of years of poor eating habits and poor choices. Unfortunately, many of the animals on the endangered species list are also on that list because of poor choices we have made as humans, including over-hunting, over-development, eradication of animals viewed as pests, and the decimation of habitat and food sources. The Endangered Species Act currently provides protections to animals that are endangered or “threatened”. The current attack on the ESA would include the removal “endangered” protections to those animals that were only viewed as “threatened”. However, the reason threatened animals receive the same protections as those endangered is to enhance recovery and to protect them before their numbers plummet to a level that would make recovery unlikely or much more difficult. Think of a “threatened” species as a patient on blood pressure medication. The doctor could wait until after a heart attack or stroke and then if the patient survives, prescribe high blood pressure medication. Or the doctor could opt for a more proactive, preventative approach and prescribe medication as a preventative, hoping to help the patient before a life-ending or life altering heart attack. The ESA serves as that “medication” for those animals deemed as threatened and enables a greater chance of survival and recovery; and certainly, it makes more sense than simply waiting for the inevitable reclassification from threatened to endangered. And proactive measures are almost always less expensive than reactionary measures, which essentially is what is required once endangered. Of course, the “medication” provides little benefit if the patient doesn’t alter his or her lifestyle: losing weight, eating better, or addressing other contributing factors that caused the high blood pressure in the first place. So, while the ESA is the initial medication to stave off extinction, further steps are then required to stabilize the species before recovery can even be considered. Take the Florida Panther for example. Most studies estimate a population of 160 to 200 Florida Panthers residing south of the Coosawatchie River and primarily in the Southwest corner of the state. There are those who would have the reader believe that Florida Panthers should no longer be protected because (1) the 160 to 200 estimate grossly underestimates total panthers in existence (There are a number of experts who actually suggest that even the 160 to 200 is a gross exaggeration and there may be fewer than 100; (2) saving the Florida Panther from extinction if a futile exercise so we might as well give up; and (3) the Florida panther is a subspecies of the North American Mountain Lion who is not endangered (not yet, although they remain at risk) and therefore, shouldn’t receive special treatment. However, the reality is that those in favor of removing the Florida Panther from the endangered species list have ulterior and hidden agendas and are not speaking from an independent, science supported observation. This includes hunters who selfishly desire a trophy, ranchers who complain about livestock depredation (even though the federal government provides for compensation relief from lost livestock), or developers who desire to develop the few remaining parts of Florida not already developed but are unable to develop in those areas deemed as Florida panther habitat. In addition to removing protections of those animals who are only “threatened”, the most damaging component of the legislation is a requirement that economic impact would have to be factored before an animal could be added to the list. Essentially, this would require financial justification of species protection, that the protection must somehow generate a greater profit than other land uses such as mining, gas exploration, ranching, etc. And of course, we all know this would be a herculean task to overcome. So, the reader needs to understand that the true impact of this measure will effectively be a final dismantling of the endangered species act. Those animals currently on the endangered species would be grandfathered in, but all future animals, birds, plants, etc. could not be added unless it could be proven that protecting the species would create a greater economic impact than these alternative land uses. And those attacking the ESA know that. How do you measure the economic benefit that a Florida Panther or Yellowstone Grizzly contributes? 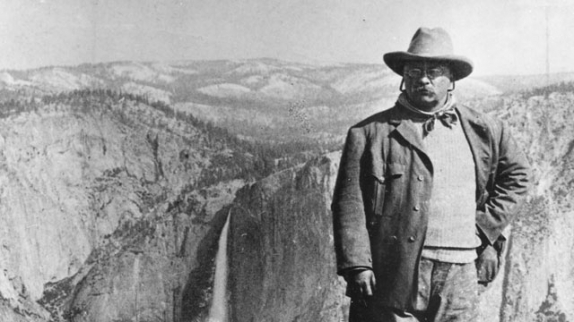 Perhaps one could argue that the possibility of seeing a Grizzly increases tourism and tourism revenue to Yellowstone National Park. However, the Grizzly is likely to be an exception. The Florida Panther is an elusive big cat, rarely seen and certainly, it would be difficult to argue the Florida Panther generates revenue to support its existence. But compare that to a developer desiring to develop on Panther habitat. The developer can easily provide an “economic loss” scenario that would justify development over protection of the species. In other words, you can’t monetize this act, and the protection of animals gravitates beyond the realm of value. The protection of these species is truly priceless; which therefore, exceeds any economic benefit that might be derived through alternative land uses that would contribute to the extinction of species that deserve protection. It’s a sad moment in American history that we find ourselves, where the desires of the few have a greater influence than the desires of the many; when profit alone becomes the determinant of decision making, and when the long-term impact of such changes is simply ignored. The efforts to weaken, dismantle and destroy the ESA is not steeped in any scientific theory, and is presented in a manner to mislead and misrepresent the public as to the success of this act. Unfortunately, as is the case most of the time, one only needs to follow the money trail to understand the true intent and reason that certain people wish to repeal the act in its entirety, or at least weaken it to the point where it no longer provides protections to animals. The Endangered Species Act is one of the greatest legislature achievements passed by our legislature because it was passed not for monetary benefits of special interest, but it was passed because it was simply the right thing to do. It was an act introduced by a Democratic legislator and signed by a Republic President and received almost 100% unanimous support by Congress. There is a reason it received this type of support and that is because the American Public wanted it passed then, and the American Public remains as supportive, if not more, today. The Endangered Species Act deserves preservation in its current state, and those species protected by the act deserve continued protections that eventually aid in recovery. Otherwise, these species will disappear off the face of the earth forever, never to be enjoyed by current or future generations. 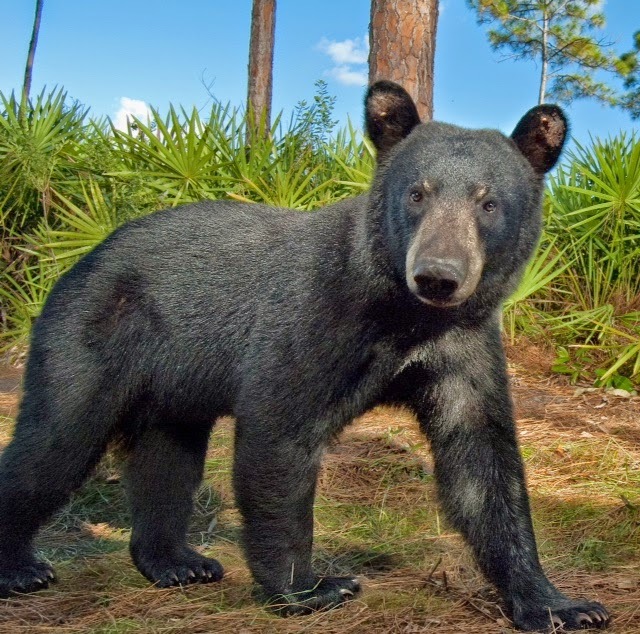 On Saturday, October 24, the Florida Fish & Wildlife Conservation Commission (FWC) authorized the first hunt of the Florida black bear in 21 years; and three years after this iconic animal was removed from the threatened species list. This hunt was to last for seven days. In 1994, the Commission of Game & Fresh Water Fish (GFC) closed all remaining areas in the state of Florida for bear hunting; and at that time there were only about 1,250 black bear remaining in the state. But, thanks in part to this hunting ban and other conservation efforts, the population had recovered to an estimated 3,000+ bear in six core areas (Eglin, Apalachicola, Osceola, St. Johns and Big Cypress) and two remnant areas (Chassahowitzka and Glades / Highlands). Yet, despite the fact that the Florida black bear had been removed from the threatened species list three years ago, the FWC made the decision to authorize the killing of up to 320 bear in this hunt. This number was based upon (1) bear count estimates; (2) historic annual mortality rates of 8% to 10%; and (3) an assumption that a subpopulation of at least 200 bear could absorb and survive up to a 23% annual mortality rate and still sustain the species. As noted in the chart below, the FWC determined that four geographic regions (East Panhandle, North, Central and South Regions) supported this hunt, with the “Objective” in each region to reduce the bear population by 20%, which also factored in the annual average mortality rate. The map below identifies the four Bear Management Units (BMU) that were targeted for this hunt. In an effort to justify this hunt, the FWC argued that the increase in complaint calls, as well as several reported incidents of actual bear attacks justified the need to pare down the bear population. According to the FWC, in 2014, they fielded in excess of 6,000 complaint calls from concerned citizens. They also reported that 227 black bear were killed in vehicle related accidents in 2014. And while this information on the surface might appear to justify the need for this hunt, there is more to the story. The Florida Fish and Wildlife Conservation Commission (FWC) is composed of seven members; all appointed by the governor and all serve five-year renewable terms. However, the current commission has been described as “a Breakfast Club of power players: a builder, a road builder, a rancher, a hotel magnate, a power company executive, a Republican bigwig, and a developer”. There is not a single conservationist or animal welfare advocate that sits on this board; and it can easily be argued that every one of these Commissioners has a conflict of interest when it comes to the protection of Florida’s wildlife and the environment. This said, in 2012 the FWC released the “The Florida Black Bear Management Plan” (The Plan), a 200+ page study with an overall objective to “maintain sustainable black bear populations in suitable habitats throughout Florida for the benefit of the species and the people”; and to “address these conservation challenges and to ensure that bears will never again need to be listed as a threatened species”. In addition, the FWC chose not to limit the number of permits for this hunt; and ultimately sold a total of 3,778 – enough to kill every bear in the state. And although the FWC established a limit of 320 bear, they also guaranteed a two-day hunt; and acknowledged that the total number of bear killed would not be counted until after the end of the second day. So, with a two-day commitment, there was no guarantee that the number of bear killed would be limited to the targeted 320. The FWC further acknowledged that “there is no shortage of natural foods in Florida’s forests for bears. They are very opportunistic feeders and are technically omnivores. Bear typically wander into residential areas because the food they can find there is high in calories and easy to get.“ The FWC further noted that “black bears avoid confrontation 90% of the time. They are naturally shy animals that will generally give plenty of warnings (e.g. jaw popping, huffing, bluff charging) before attacking”. 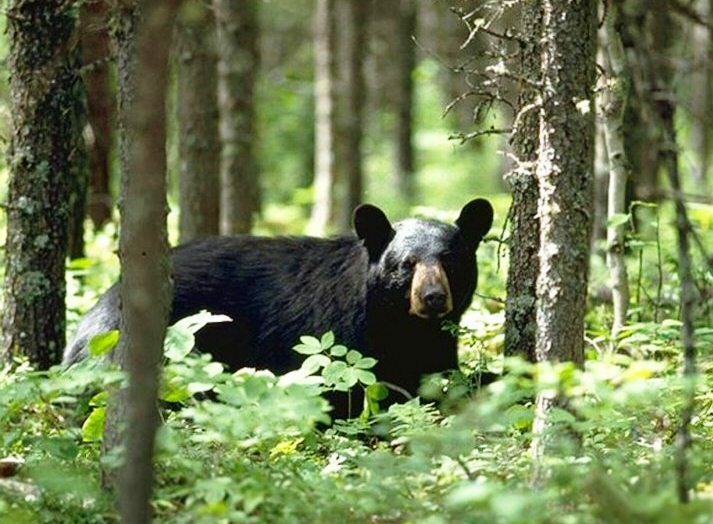 The FWC also agreed with animal rights supporters that the best way to minimize human-bear conflict is through managing garbage and food attractants, such as utilizing bear-proof trash cans. 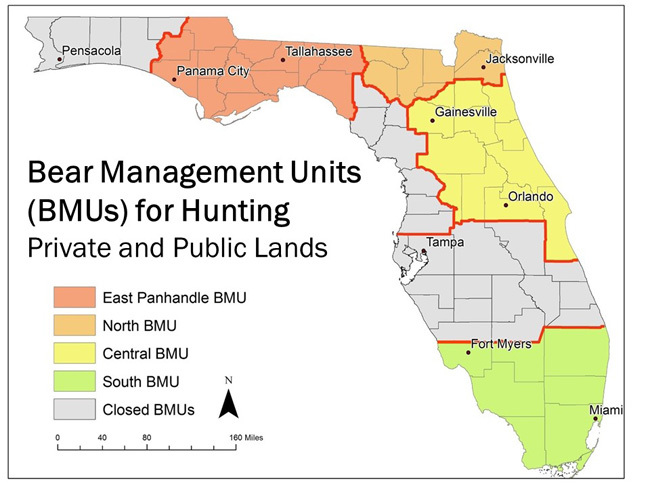 And while the FWC suggested that “hunting” is a one tool in their comprehensive approach to curbing the population, the Florida Black Bear Management Plan makes no mention of hunting the black bear as part of the plan. 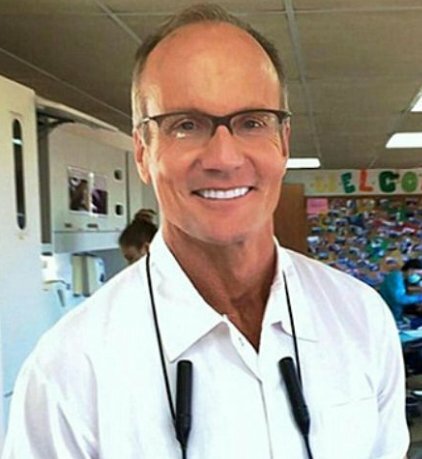 The FWC also acknowledged that 75% of the 40,000+ calls, letters and emails from Florida residents stated opposition to the hunt; but that they had to weigh public opinion versus scientific research…even though as Mr. Wiley acknowledged, there was not supportable scientific research to justify this hunt. According to the FWC, total bear killed in this hunt was 304. However, both the North and South bear management unit (BMU) fell well short of their targeted range. The North BMU only met 25% of the targeted number, while the South BMU was slightly higher at 275. On the opposite extreme, the Central BMU (143%) and East Panhandle BMU (285%) embarrassingly exceeded their target numbers; particularly considering that those numbers were met on the first day of the hunt. Naturally, this raises the question as to whether the FWC truly had any idea as to the actual population count; or if this were simply a guesstimate. And if the FWC was working with inaccurate assumptions and inaccurate data, then we really have no idea as to the detrimental impact this hunt may have on the black bear, both short-term and long-term. As noted earlier, there were nearly 6,000 complaint calls made in 2014. However, the majority of these were made by concerned citizens to either report a bear in the area, or a complaint the bear had dumped over a trash can and was rummaging through the garbage. And while there were 227 black bear killed in vehicular accidents in 2014, this actually represents a 20% reduction over the 285 bears that were killed in 2012; thanks to the construction of wildlife underpasses, the posting of warning signs and reduced speed limits in frequent roadkill areas, providing of information at rest stops and tourist information areas, and other measures. Thus while complaint calls have increased from 1990 to 2014, this would be expected, given that Florida’s population of 13.03 million in 1990 had increased 53% to 19.89 million by 2014. Add 6 million more people and development that infringes upon the bear’s natural habitat, this equates to more human – bear conflict. Hunt Florida TV channel, commission spokesman Tony Young said, “If you see a bear that comes out into view, and you’re thinking about harvesting it because it looks big enough, give it a little while and make sure it doesn’t have a cub with it.” Unfortunately, this advice was not followed by everyone. This article would be substantially shorter if we summarized what went right; because quite frankly, the only “right” of this entire event was in the fact that it was mercifully shut down after the second day. So, let’s summarize the failures. • The FWC is a commission consisting of developers, attorneys, ranchers and hunters. Not a single commissioner has experience in conservation or biology. Simply put, the financial interest of a developer or rancher is contrary to the protection of Florida’s wildlife, including the black bear and Florida panther, both of which are deemed to be a threat to “progress”. 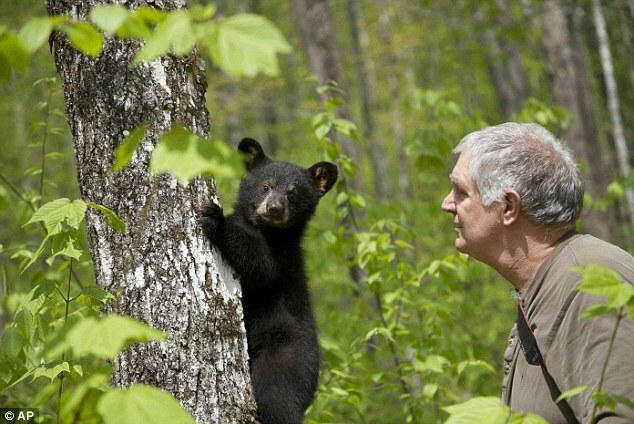 • The FWC produced a detailed Bear Management Plan in 2012 which was developed to ensure the black bear would never again become a threatened species. A hunting program was never addressed as part of this plan; and this recent hunt represents a significant step backward in what had been a great story of recovery. • Seventy five percent of Florida residents were opposed to this hunt; yet the FWC ignored the overwhelming majority…and ignored the science as well. Yet, there is no evidence that the FWC decision was a nod to hunters either. There were a number of hunters that were also against the hunt, with some describing this event as about the same as going out and shooting your own dog. Many of the bear had grown accustomed to humans, had no reason to fear them, and walked right up to the hunters. 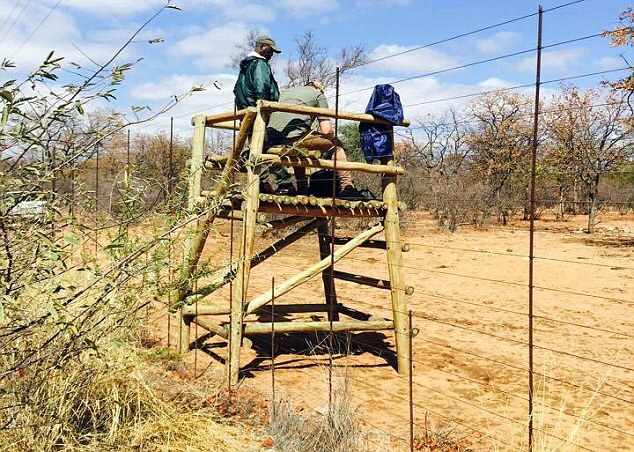 With exception of fences or cages, this essentially became a glorified canned hunt. 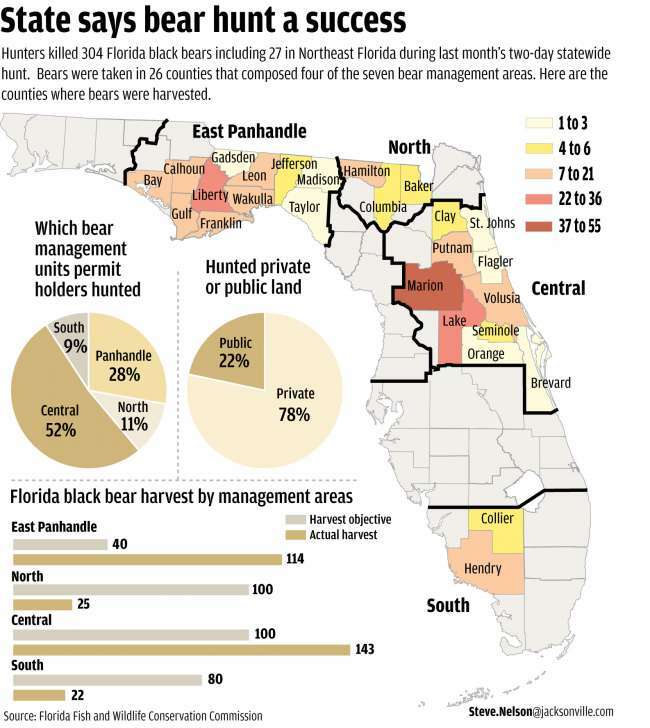 • The FWC choose to move ahead with this hunt before final bear counts were even completed. The completion date was targeted for 2016; but the FWC offered no adequate explanation as to why this hunt was held before finalization of the counts. As the final numbers attested, it was clear that the FWC had no idea as to how many bear, nor where they were located geographically. 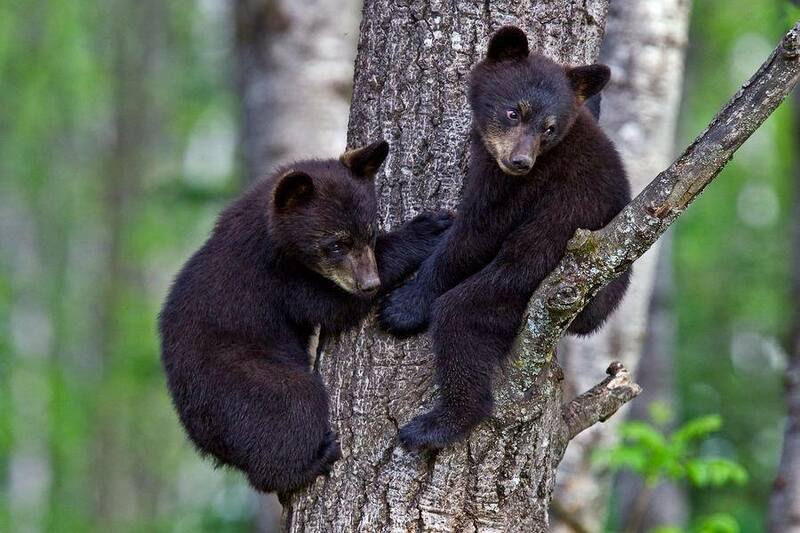 • The FWC did not limit the number of permits sold for the bear hunt. Ultimately, there were 3,778 permits sold…enough to kill every black bear in the state. Obviously, that was not going to happen. However, the FWC certainly positioned the black bear into a precarious position that, with a guaranteed two-day hunt, could have been decimated beyond recovery. This was a poor advised gamble that could have had (and may still have) catastrophic consequences. 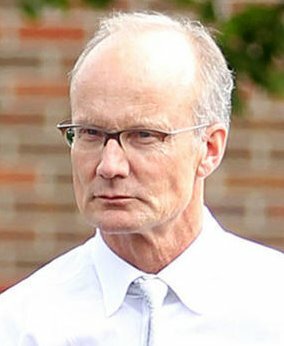 • The $100 in-state permit fee and $300 out-of-state permit fees were minimal and therefore, failed to generate any significant revenue that could have been invested in bear conservation efforts. Given that this was the first hunt in 21 years and a lot of hunters excited about the opportunity of killing a black bear, the permit price seemed artificially low. This is particularly perplexing, given that Brian Yablonski, the Chairman of the FWC is a major supporter and advocate of the “economic value theory”. The theory goes that the conservation and protection of a species increases in proportion to the animal’s market value. The greater the value, the greater the conservation effort. Therefore, one would have assumed that the first hunt in 20+ years of an iconic animal such as the Florida black bear would have yielded a much higher permit fee… $2,000 to $3,000. The final amount collected was $377,000, which will do very little toward future conservation of the bear. Higher permit fees would have raised significantly more money that could have gone toward a bear proof trash can subsidy program, further education of the residents in bear country; and investment in over-passes or under-passes, allowing bear and panthers safe haven and access over or under busy highways. 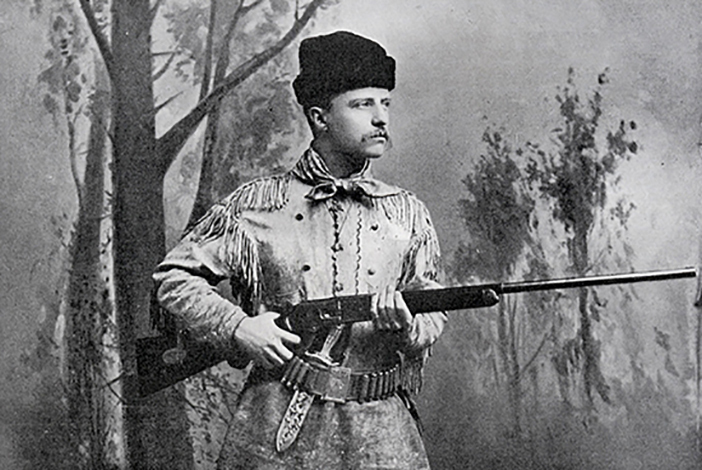 • By allowing an unlimited number of hunters, a compacted hunting period, and a two-day guarantee, the FWC was virtually assured of an unmanageable hunt. Expanding the hunt into multiple weeks and limiting the number of hunters on any given day, this would have helped to manage the hunt count, and ensured that both the Eastern Panhandle and Central Florida bear counts remained in check. • The FWC acknowledged that the most effective way of controlling the human – bear conflict is to educate the public, and to place a greater emphasis of bear proof trash cans in bear country. Yet, the FWC ultimately justified the bear hunt on the basis that it would reduce the human – bear conflict, even though they acknowledged this hunt would not accomplish that goal. “We know this isn’t going to work but we are going to do it anyway” appeared to be the mantra of the FWC. Additionally, the majority of the bear killed were in Marion County, and deep in the Ocala National Forest. These were not even the bear that were creating the human-bear conflict in the first place. A week after the hunt, a kayaker discovered a dead bear cub floating in the Suwannee River; a previously unreported casualty of this disaster of a bear hunt, which brings up the necessary discussion as to aftershocks associated with this hunt. 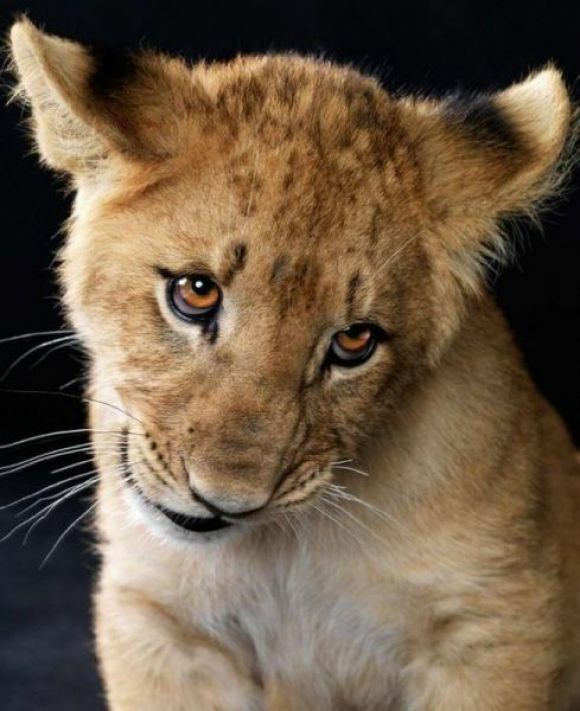 Orphaned cubs, according to the FWC are capable of surviving on their own at about 8 months; and with an October hunt, most would have been 8 to 9 months old. Based upon the reported 38 lactating mothers that were killed, and an average litter of 2.5 bear cubs (typical litter are two to three bear cubs), that would equate to approximately 94 orphaned cubs. And while cubs may have the ability to find food and survive on their own, a 70 or 80 pound cub would have a significantly less chance of surviving the attack of a 300 or 400 pound full-grown male, than one with a mother there to defend him or her. So, the mortality rate of orphaned cubs necessarily will be higher than the mortality rate of cubs protected by a mother bear. 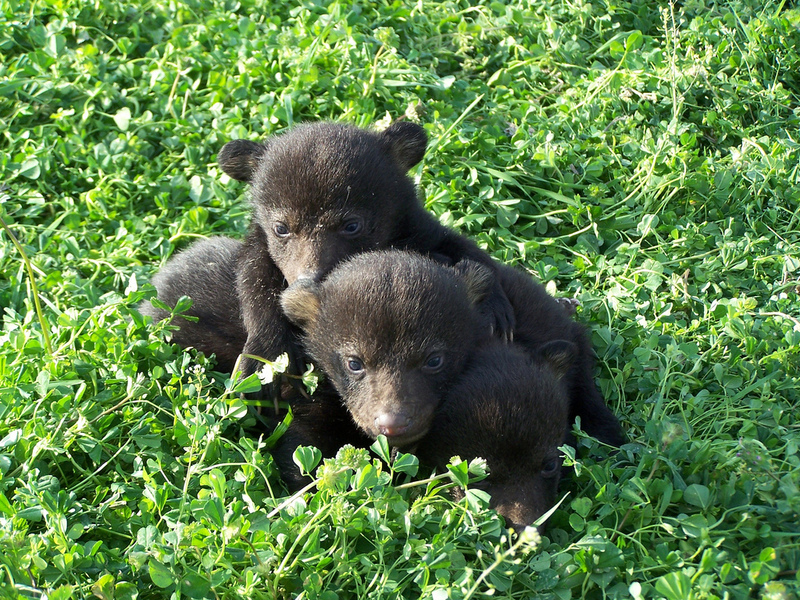 According to http://www.bear.org, the one-year survival rate of a litter of two bear is 88% and three bear is 82%, so an average of about 85%. 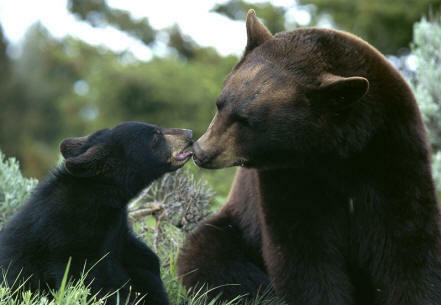 Without a protective mother bear, the survival rate is assumed to be significantly less than 85%. Additionally, subsequent to the bear hunt, there have been increased reports of bear sightings in residential neighborhoods. This is not surprising and should have been expected; but perhaps with exception of the FWC. There are two reasons for this. 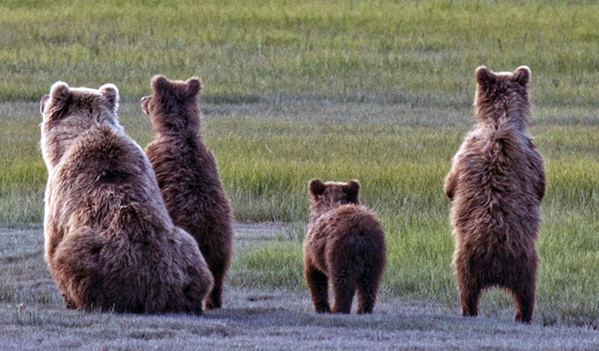 One, the young orphaned bears do not have the same level of foraging experience as their moms. The logical question must be posed as to why they normally stay with their mother for an average of eighteen months if they only require eight months? The answer is simple…that is the ideal period of time that nature intended for these bear to have the best chance of survival. Secondly, bear are intelligent animals and many are now associating the forest with the carnage that took place in the woods. They now see the residential area as a safer environment, which obviously will only result in an increased level of human – bear conflict. The official tally provided by the FWC is 304 bear. This appears to be an artificially low number. However, even if that is correct, after adding the unaccounted bear injured and never found, the increase in orphaned cub mortality, the increase in bear – human conflict, and loss of future offspring, what is the true death toll resulting from this bear hunt? And what is the long-term impact? Whatever the answer is, it is significantly higher than the original target of 320 bear. B) clarify that any black bear in Florida is protected under the rule. 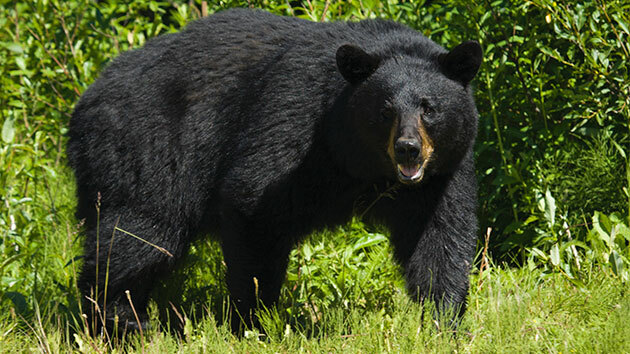 A Florida black bear is physically indistinguishable from an American black bear or Louisiana black bear, which are the two other subspecies of black bears inhabiting the eastern United States. While we have never found anything but a Florida black bear in Florida through thousands of genetic samples analyzed, removing the subspecies reference from the rule would negate the need to analyze DNA from a bear to prove it is the subspecies and therefore is protected under this rule. This explanation sounds mundane, and suggests that the FWC is proposing this change for simplification purposes. However, the true intent is more sinister. 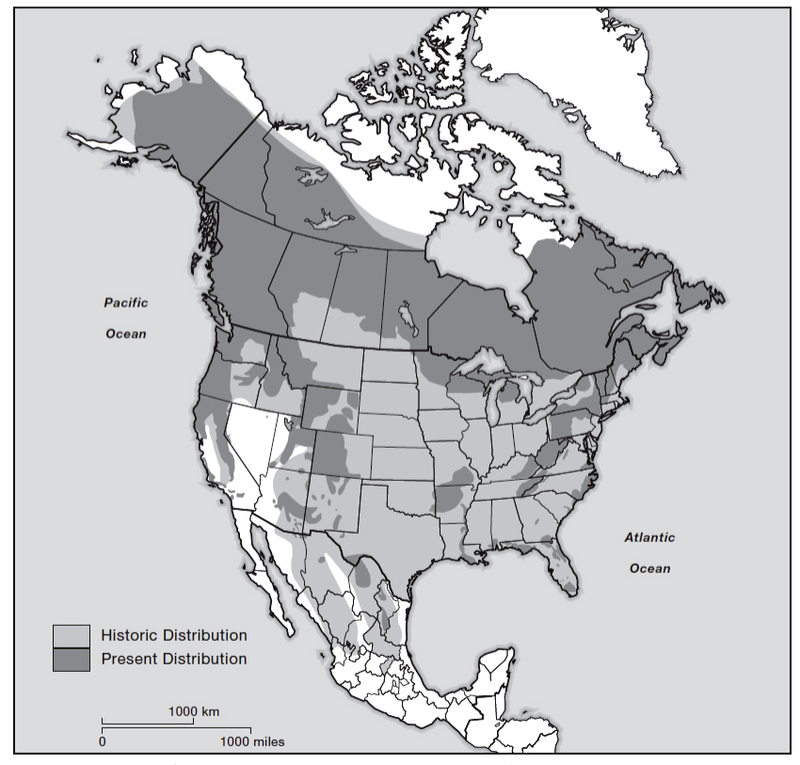 Current sources indicate that there are approximately 300,000 black bear living throughout the lower 48 states. And while there are actually 16 subspecies, only the Louisiana Black Bear and Florida Black Bear are in that volatile category…the Louisiana black bear currently listed on the federal register as threatened, while the Florida black bear was considered threatened until 2012. The Florida black bear, as a subspecies of approximately 3,000, enjoys (or had enjoyed) special protections that he would not have received if categorized as part of the larger 300,000 black bear species. In other words, had the sub species title been removed back in 1994 (when the GFC imposed the hunting ban), there likely would have never been a hunting ban because technically, there would not be an existence of a Florida black bear. He would just be a “black bear” and as long as the overall species of black bear was a healthy number, it wouldn’t matter whether or not a black bear population existed in Florida or not. Now whether that is the intent of the FWC, only the FWC can answer that question. However, this effort to amend the Administrative Code Section should be a concern to wildlife advocates. And it should be noted that the FWC also desires to remove the subspecies categorization of the Florida panther, which would remove his endangered species protections as well. It also needs to be noted that as to whether there is a difference between the Florida black bear and other black bears, even the FWC states on their website that the Florida “black bear can be distinguished from other subspecies by genetic and skeletal differences.” So, when the FWC acknowledges that there are genetic and skeletal differences, one must question the underlying intent of differentiating the bear, yet wanting to pretend there is no differentiation. This should be viewed with suspicion. Additionally, the FWC has also indicated the intent to have another hunt in 2016, although in recent days Dianne Eggeman has walked that statement back and indicated that the FWC will not make a decision on future hunts until they complete a thorough review of the 2015 hunt. 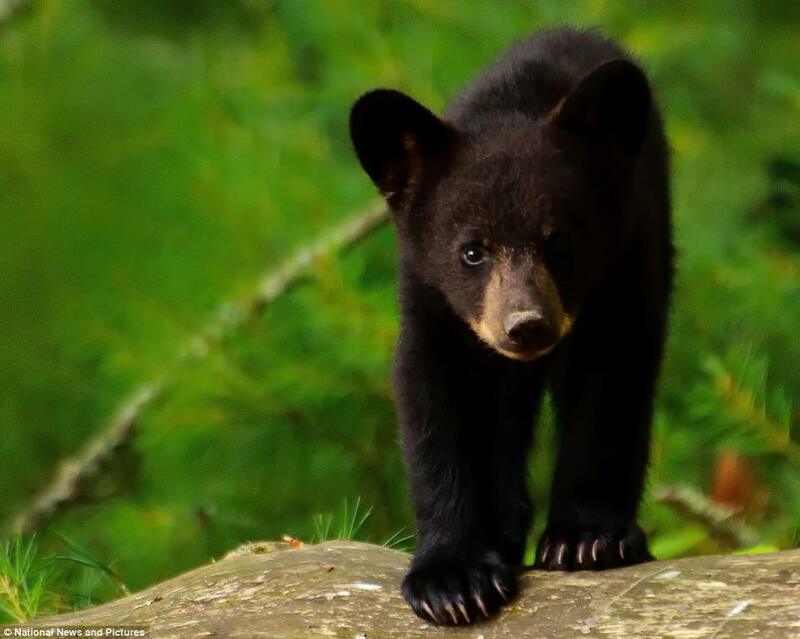 Meanwhile, Thomas Eason, Director of the FWC’s Habitat and Species Conservation Division has been recently quoted to believe that there are now an estimated 5,000 to 6,000 bear now living in Florida; and producing 1,200 cubs per year. I find this interesting because it is quite obvious now that the FWC was simply guessing when they estimated the 3,000 bear in Florida. Now, they are guessing 5,000 bear? Or is it 6,000? Or does that 5,000 or 6,000 number include the 304 bear reported killed during this hunt? Does anyone really believe any of this? With regards to the 1,200 cubs per year, this would suggest an annual growth rate of 20% to 24% per year, based upon his assumption of 5,000 to 6,000 bear. It is a generally accepted fact that the average mortality rate of a typical bear population, without undue influences of hunting and other non-natural events is about 10% per year. In fact, in determining the targeted 320 bear in this year’s hunt, the FWC acknowledged a 10% goal, which added to the 10% mortality rate, would equate to an overall number of 20%. They deemed this a conservative number, as previous studies had indicated that up to 23% of a bear population could be killed in a given year without risk of sustainability of the species. In 1994, there were an estimated 1,250 bear. If we assume a 20% growth rate (which is based upon a 1,200 cub to 6,000 total population that Mr. Eason provided; 24% if the ratio was 1,200 to 5,000 bear) and assume the 10% mortality rate during that period (as hunting was not allowed from 1994 through 2014), this would actually indicate that Florida’s black bear population would be nearly 52,000. Yet, I don’t believe anyone would consider that to be an accurate number. However, this is simple math; it assumes the 20% cub birth rate provided by Mr. Easton and a 10% overall mortality rate every year. Run the numbers. I did. It works. So, by this calculation, even he has substantially underestimated the overall bear population. Unless…he is grossly exaggerating the bear numbers, or just making it up because it sounds good. This is not an accusation, but the numbers clearly do not add up; and I would have assumed that the director of habitat and species conservation would have factual data to support these assumptions. According to the FWC, there was an estimated 3,000 to 3,500 bear before this hunt began. Assuming the 1994 number of 1,250 is accurate (and I have found no dispute of this number), this would suggest an annual net bear increase of around 4.5% per year. Assuming the same 10% mortality rate, this would indicate a cub production rate of around 5.5% per year, substantially less than the 20% estimated by Mr. Eason. And in fact, http://www.bearsmart.com notes that “Bears are among the least productive mammals in North America.” So perhaps, Mr. Eason has been a little too optimistic concerning the reproductive rate of the black bear; or of the total population, or both. And why would the FWC once again go on record with a number before final counts have even been completed? This just seems to further enforce incompetence or an agenda reliant upon a gross misstatements of fact, exaggerations or egregious lies. One must acknowledge that there are situations when the only choice we have is to forcibly reduce wildlife populations, particularly when there is a perceived over-population of that animal. Of course, that over-population is almost certainly our fault as well, as we have tampered with the delicate balance of the ecosystem. We have either killed too many predators like the wolf or mountain lion or bobcat or coyote, resulting an over-population of prey animals. Or, we have reduced the animal habitat to such a confined space, they have no place else to go. They are then considered “nuisance” animals because they are infringing on our territory, even though we actually infringed upon their territory first. And it is ironic when you think about the fact that when the human population over-populates, we don’t hire hunters to reduce the human population to manageable levels. Rather, we simply take over more land to accommodate people. Animals generally don’t over-populate. We just force them into smaller and smaller habitats; and as those habitats become smaller, there is a perceived over-population. And the answer to that problem is to kill and reduce. The majority of Florida’s citizens did not want this hunt in the first place. After the black eye that the FWC has inflicted upon the state with this embarrassing, unjustified hunt, one can only hopes that the FWC will bow to the will of the people…and to common sense…and to intelligent conservation measures. The actions of the FWC leading up to this bear hunt, the management of the actual hunt, and their actions after the hunt, combined with the recent legislative efforts, and DEP’s thoughts to legalize hunting in all state parks should send an alarming message to Florida’s residents. The attitude of the current state Administration toward wildlife and the environment is rather obvious, and one only hopes that something can be done before there is irreparable damage. If not, the repercussions of this will be felt by all parties involved: hunters and non-hunters. The FWC has masterfully manipulated a situation where many of the animal advocates and hunting advocates believe that they are each other’s primary adversary in this battle. As those two groups expend energy fighting one another, the FWC continues to quietly pursue an agenda under the radar; with the hunting and animal advocates too busy fighting one another to take notice. Fortunately, many appear to be waking up to this; and let’s hope for the sake of the bear and all Florida wildlife, something can be done before it is too late. My mind wanders this Sunday morning, struggling with the myriad of topics and subjects that could be discussed. And in this Day 2 of the Great Black Bear Massacre of 2015, which has truly become just that, coming up with ideas is not a problem. Should I talk about the lack of scientific evidence that supported this hunt? Should I talk about the idiotic approach (my words) of the Florida Fish & Wildlife Conservation Commission (FWC) in implementing this hunt? Should I talk about the clear conflict of interest of the FWC? The fact that the actual acronym should be the FWCC; and that it is obvious which “C” was left out? Should I talk about the FWC completely disregarding and ignoring the 75%+ of the Florida population against this hunt? Should I talk about the shortcomings of those hunters participating in this tragedy? Should I talk about the steps involved in returning the black bear to the threatened species list, because that is exactly where he is headed? It is indeed a somber day and a hunt that was supposed to have lasted up to seven days will probably end in two; with two of the four territories ending the hunt after one just day because the devastation was so incredible. Had the hunt continued into day two in those regions, it may have wiped out the bear population entirely. And in fact, it just staggers the mind to think that people in position of authority, those supposedly charged with protecting our environment and protecting the species, would fail this epically? Anyone with a small iota of common sense would have seen the recipe for disaster. Compact a hunt into a small window of time, sell an unlimited number of hunting permits, establish a hunt limit, but don’t count, don’t monitor and don’t limit the number of bears killed in the first two days, and what other result could have occurred? Seriously? This was the plan. On top of the poorly laid plan, the FWC acknowledged that the hunt would also rely upon the “honor” system, a code of ethics if you will. They entrusted that these hunters (1) would not shoot mothers with cubs in tow (didn’t happen); and (2) they would not shoot any cubs (didn’t happen). Lactating mothers were found within the dead…as were bear cubs. A hunter with a code of ethics is an oxymoron, wouldn’t you agree? So, as of 9:00 on Saturday night, the FWC reported 207 bears killed…or the preferred hunting terminology, “taken” or “harvested”. The FWC also reported this to be “a number that is well within the allowable range of a conservative hunt”. Unfortunately, the 207 number has been challenged as accurate. Of this total, 81 bear were killed in the Florida Panhandle, exceeding the allotment by more than double the targeted 40. Another 99 bear were killed in central Florida, meeting the 100 targeted in that region. However, only 12 bear were allegedly killed in the North, a territory with a target of 100; and 15 bear in the South, a territory with a target of 80. The statistics even suggest this number is substantially and artificially low. The fact that one region reflected total killed to be 200% over target, and another region at exactly the desired range. Yet, the other two regions only reported 12% and 19% rates. The sad reality is that the true impact of this hunt may never be known. However, simple math suggests the actual number is more likely to be in the 800 to 1,000 range, which would represent about one-third of the entire bear population. That is not sustainable. It is this writer’s opinion that the entire FWC commission needs to be removed for dereliction of duty and in its abject failure to serve in the role of conservation commissioners. The Florida black bear was removed from the threatened species list three years ago, and was (and I emphasis was) one of the true remarkable stories of bounce back…increasing from a few hundred in the 1970’s to perhaps 3,000 today. Unfortunately, the FWC’s faulty plan combined with poor management of the hunt may return the black bear back to the threatened species list; and in some regions such as the Panhandle, it may be decades before the bear returns to sustainability. All this said, the purpose of today’s blog was not necessarily to criticize, although this is such a disaster of a result, it is impossible to write something without talking about this epic failure. However, what I really wanted to write about is the dedication and commitment of all of the volunteers participating as monitors, the attorneys fighting to stop this, the protestors standing on the side of road with signs, volunteers calling, emailing and writing in an effort to stop this. There are not enough positive words in the dictionary that could possibly capture the gratitude and thankfulness of these dedicated, impassioned, wonderful people who have dedicated their time, energy and effort to stop this massacre. And when that effort failed, they were on the front lines, monitoring every check station, documenting the events and taking photographs. And all those activists having empathy with the bear, this was an excruciating exercise. They felt the pain that the bear must have felt when bullets were piercing her body. They felt the pain of a mother bear’s final thoughts of her orphaned cubs. They had to experience the hunter’s ear to ear grin; one proud of an action that took away the breath of another living being. And they had to stand there, knowing there was absolutely nothing they could do. These are the brave volunteers; and if you know one of these dedicated people, please let them know how much you appreciate their efforts. But also send them love and compassion, and ask that they remain brave and courageous; and know that their efforts will have not gone in vain. There is nothing more that can be done to stop this weekend’s carnage. However, continued pressure can force those behind this plan to be held accountable for their actions; and we can ensure that such an event never happens again. Be safe. Be strong. Be brave. Lose the battle. Win the war. On Saturday, October 24, 2015, and less than three years after being delisted as a threatened species, the Florida black bear will once again be fighting for his life; and perhaps a survival of the species. This will be the first legal hunt of the black bear since 1994, when the Commission of Game & Fresh Water Fish (GFC) closed all remaining areas for bear hunting. And at that point in time there were approximately 1,250 black bears remaining in the state. 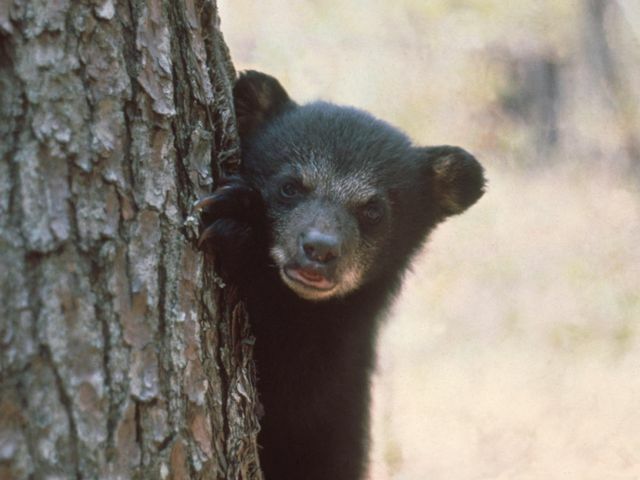 Thanks in part to this hunting ban and other conservation efforts, the population has recovered to over 3,000 bears in six core areas (Eglin, Apalachicola, Osceola, St. Johns and Big Cypress) and two remnant areas (Chassahowitzka and Glades / Highlands). And while recovery rate of this magnitude should be perceived as a great victory for the black bear, the decision by the Florida Fish and Wildlife Conservation Commission (FWC) may succeed in returning the black bear population back to those pre-recovery levels. Beginning Saturday and continuing for seven days until the following Friday, the FWC has approved the killing of up to 320 bears in four primary geographic areas, although the FWC will not be tracking total kills until after the weekend and has guaranteed the hunt will last at least two full days. Therefore, the likelihood is great that the total bears killed will greatly surpass the 320 bear objective. 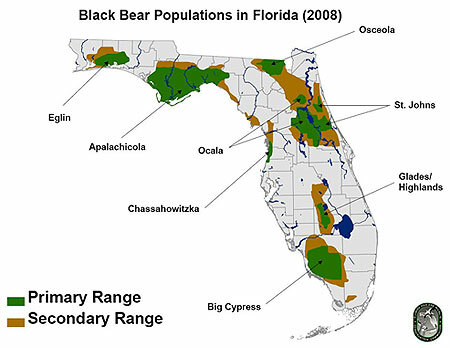 As referenced above, in 2012, the FWC completed a lengthy study entitled “The Florida Black Bear Management Plan” (The Plan); with the objective of this study to “maintain sustainable black bear populations in suitable habitats throughout Florida for the benefit of the species and the people.” To reach this goal, the study determined that there needs to be at least one subpopulation of at least 1,000 individuals and smaller subpopulation areas of at least 200 bears each. The North and Central estimates referenced in the chart above are based upon 2014 counts, while the East Panhandle and South counts have not been updated since 2002; but were estimated, based upon the concluded increase in the North and Central counts. However, Nick Wiley, Certified Wildlife Biologist and Executive Director for the Florida Fish and Wildlife Conservation Commission admitted that the FWC really doesn’t know if 3,150 is an accurate number or not. But to read Nick Wiley’s June 22, 2015 news release, one might conclude that the Florida black bear is running rampant, wild and out of control on Florida’s highway and byways, and causing severe risk and danger to Florida drivers. This is not to say that a human – bear conflict does not exist. 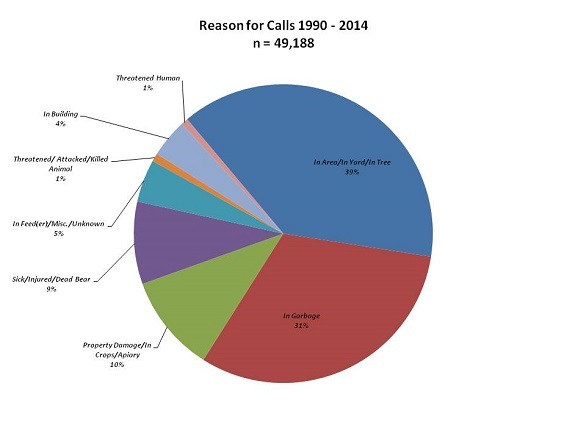 In 2014, the FWC fielded in excess of 6,000 complaint calls from concerned citizens; or about 16 calls per day. And according to the FWC, there were 227 black bear killed in vehicle related accidents in 2014. However, this represents a 20% reduction over the 285 bears that were killed in 2012; thanks to the construction of wildlife underpasses, the posting of warning signs and reduced speed limits in frequent roadkill areas, providing of information at rest stops and tourist information areas, and other measures. And all efforts to date seemingly have followed the FWC goal of delisting and restoring the black bear to healthy levels; and The Plan’s intention to “address these conservation challenges and to ensure that bears will never again need to be listed as a threatened species”. So, if the bear population can sustain up to a 23% loss in a single year, why the anger and protest by those attempting to stop the hunt? One could easily bring up the ethical aspect of hunting just to hunt. Unfortunately, it seems that this argument never gains any traction because in today’s world, we seem to view life as simply black and white. That is, if it is legal, it is okay; and ethical and moral implications be damned. The reality is that those individuals that live a life built on an ethical foundation will likely continue to maintain a level of morality. Those that have built their lives on excuses and an ‘unethical act justification’ will always be ethically challenged. Therefore, although this should be a significant consideration against bear hunting, we will unfortunately have to check this one-off the list as non-applicable. So, if ethical behavior is off the list, this also means compassion, the humane treatment of wildlife, and being a steward of our environment is also off the list. Which would seemingly suggest that we just get this carnage started; to see how much death, destruction and devastation of the black bear population we can actually cause over a 7-day period. Yet, you may ask that if the FWC has capped the number at about 10% of the total estimated population, how can that cause this gloom and doom scenario? Simple. 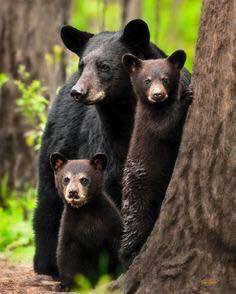 As of early October, the state of Florida had already issued 2,659 licenses for the right to kill these 320 bears, and nearly enough licenses to kill every black bear in the state. And because the FWC will not even attempt to track or monitor the number of bears killed until after the first two days, the likelihood is that the number of bears killed will far exceed the maximum 320. And given that these 2,659 hunters are already well aware of this likelihood, we can also assume that there will be few, if any, that wait until Monday or Tuesday for their hunting experience. Rather, they will all descend into bear territory at the same time. So, in addition to the plight of the black bear, I would venture to guess that when you combine 2,659 hunters, an animal that has not been legally hunted in twenty plus years, a contracted timetable and a limit of how many bears that can be killed, there is an added probability of accidental shootings and injuries to hunters as well. However, I assume this would just be chalked up as collateral damage. Even those supporters of the bear hunt must surely be scratching their head and questioning why the FWC would implement such a questionable plan. After all, who in their right mind would establish a capped or targeted number, yet not establish parameters to ensure that number would not be exceeded? Two days of open-ending hunting. Come one, come all. Kill as many bears as you can, then we will see if we are at our limit. And keep in mind that it will also take the FWC time to tally the numbers, since there are 33 bear hunt check stations. So while the FWC is in the process of counting the number of Saturday and Sunday kills, bear hunting will continue to operate as normal well into the third day. Intelligent planning would suggest that if the bear hunt was truly necessary (which remains a question), why would you not spread the hunt over at least three or four weekends, and limit the number of hunters per weekend? The FWC could have auctioned off permits and sold the first weekend permits for a significantly higher amount than $100 for Florida residents and $300 for out –of-state residents, and staggered pricing such that those permits acquired in the fourth or fifth weekend would be discounted. The idea that the black bear would be hunted in the first place is sad; but all the more so, given that the price on his / her head is such a paltry amount. I would anticipate that in a lottery type scenario, a hunter would gladly pay at least $5,000 for the right to kill a bear that has been protected for the past 20 years. At that price, the State may have raised $10 million in revenue. But, as it stands, they will probably generate about $400,000 (assuming 50% of permits were issued to in-state residents and the other 50% issued to out-of-state residents). (b) Taking bears that are causing property damage when no non-lethal options can provide a practical resolution to the damage, and the Commission is unable to capture the bear. Therefore, under Florida statutes, the FWC may authorize the killing of bears, only if it “furthers scientific or conservation purposes, which will benefit the survival potential of the species or to reduce property damage caused by bears.” Clearly, this effort has nothing to do with any scientific study, so it must fall under the vague and highly debatable “conservation” argument. However, through my research, I have yet to locate any study that definitively states the black bear population is deemed to be at a level that would require the “management” of the species. In other words, no over-population issue has been introduced that suggests the population needs to be reduced by 320 bears over a single week. However, can that truly be argued as damaging property? And isn’t this a correctable issue that can be accomplished simply by trading out traditional trash cans with bear-proof containers, something the FWC has already been pushing as part of its Education and Outreach program – which is described in the Florida Black Bear Management Plan? And that “black bears avoid confrontation 90% of the time. They are naturally shy animals that will generally give plenty of warnings (e.g. jaw popping, huffing, bluff charging) before attacking”. The FWC has been keeping track of incidents where a person has been injured by a bear in the state of Florida since 1976 and they have noted it is a very rare event. And in most cases the bear was acting in a defensive manner protecting itself, its young, or a food source. Further, the FWC officials have acknowledged the majority of feedback the agency has received is against the hunt (40,000+ calls, letters and emails – 75% of them against the hunt), but they said they have to weigh public opinion versus scientific research. 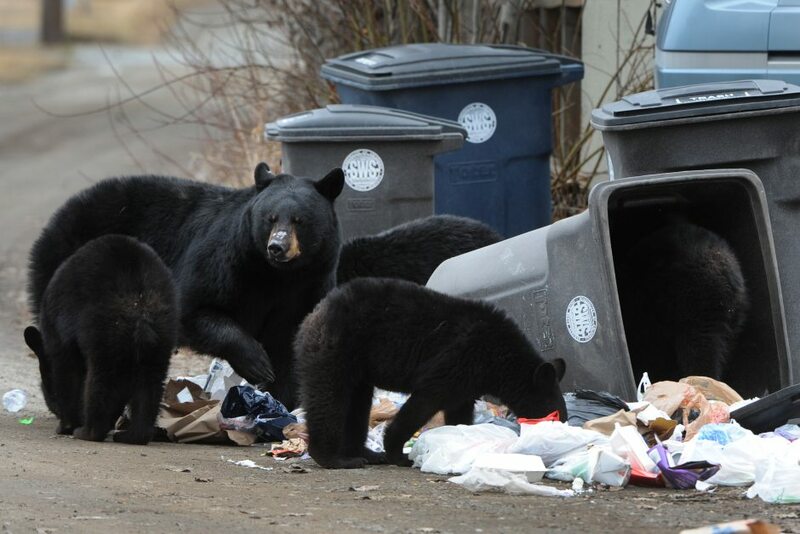 And that they agree with animal rights supporters that the best way to minimize human-bear conflicts is through managing garbage and food attractants, such as utilizing bear-proof trash cans. However, they also indicated that hunting is one tool in their comprehensive approach to curbing the population. Yet, if you review the Florida Black Bear Management Plan, you will find there is no mention of killing the black bear as part of the plan. Of course, aside from the bears killed during this event, the additional victims of this hunt will be the orphaned cubs. FWC indicated that the hunt is occurring in late October for two reasons. One, it is just prior to winter hibernation; and two, the bear cubs will be old enough to fend for themselves and survive on their own by then. 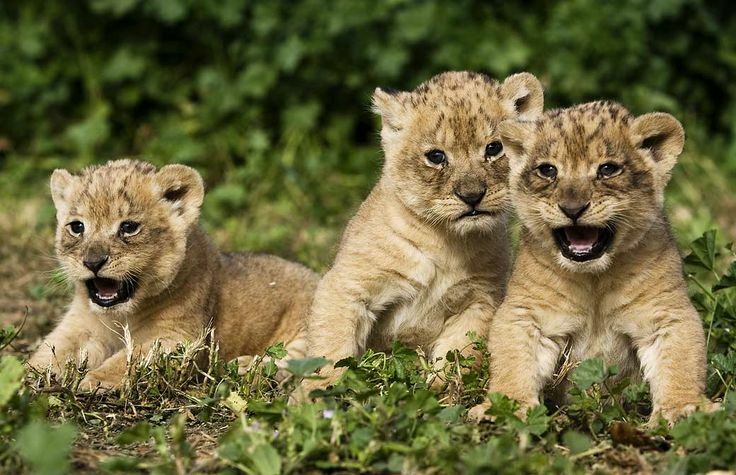 However, according to the FWC website, cubs are normally born in late January to mid-February and the family dissolution period is typically 15 to 17 months. So, for those cubs born in early 2014, they most likely left their mothers between July and September, and should be fine. However, those cubs born early this year? They are only 8 to 9 months old, and certainly, will have no chance to survive without their mothers whatsoever. Their only hope is that the good-hearted volunteers that plan to scour the woods after the hunt is over, in hopes of finding the cubs. If not, the cubs will simply starve to death. I find it equally humorous when hunters use the word “harvest”. They talk as if they are going out to pick blueberries or apples. The simple fact is that fruits and vegetables are harvested…animals are killed. Let’s not mince words here. If you are going to kill the animal, say it proudly. You aren’t going to harvest the animal. You aren’t going to take the animal. You are going to kill the animal. My question to Mr. Moyes is how do you conclude that an animal that has been on the threatened species list for nearly twenty years, has been off the list a total of three years, and with a population that has increased from 1,250 to around 3,000 over that twenty year period is a mismanaged species? And my question to those that would argue that hunting is conservation, why was the black bear on the threatened species list in the first place? Simple…over-hunting. If hunting was not the culprit, then the FWC would have never banned this activity in the first place. And let’s not talk about hunting as conservation because the revenues will help support the preservation of the Florida black bear. Permits are $100 for in-state residents and $300 for out-of-state residents. 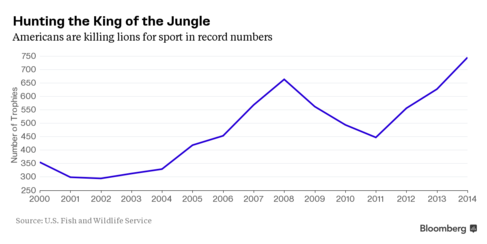 Even if every hunter was out-of-state and the 320 bear max was attained; that is less than $1 million in revenue. The FWC should have significantly upped the price for this hunt; generated millions and millions of dollars which could have been invested in additional wildlife underpasses, more signs, further communication, or perhaps as a subsidy toward the purchase of more bear proof trash cans and dumpsters. This tells me that conservation really was not a consideration in the FWC decision to allow this hunt. The fact of the matter is that the reason there has been an increase in complaint calls from Florida residents is not that bears are suddenly coming out of the woods and into people’s back yards to eat. 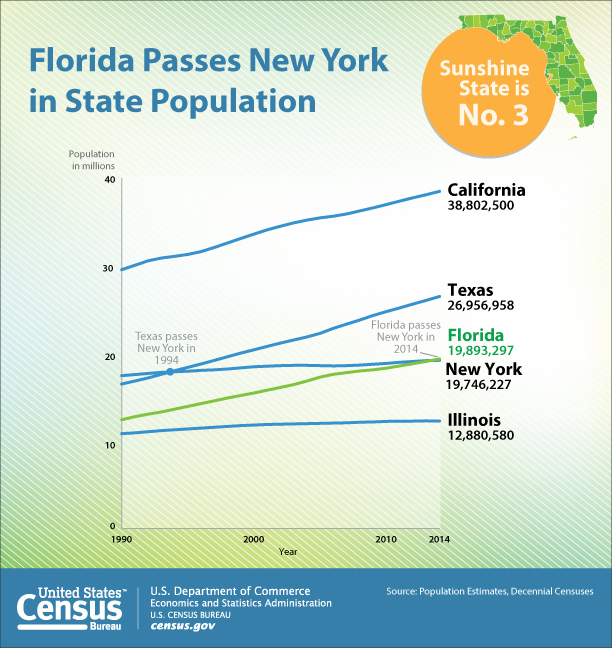 The simple fact is that Florida’s population is growing and is now infringing on territory that was bear territory. So, in truth, we are bothering them…they are not bothering us. And hunting bears deep in the woods is not going to prevent them from foraging for food in people’s back yards. As the FWC noted, black bears are smart enough to be lazy. How many times have you decided to pick up a meal at a fast food restaurant because it was easier and more convenient than going home and creating a meal from scratch? The bears are no different. Why forage for food, when someone has left an unsecured trash can that makes for an easy meal? So, kill off 20% of the bears next weekend; but don’t be surprised when the number of complaint calls increases in 2016. 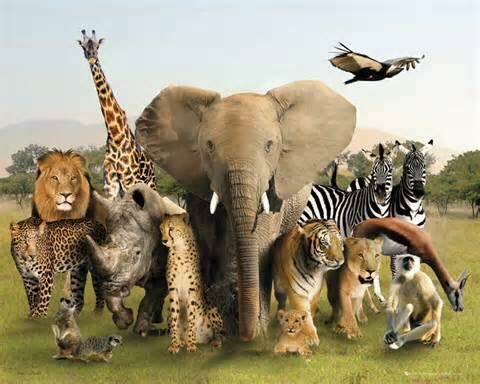 The challenge of course, is how to deal with the human – animal conflict when the human population continues to grow. The traditional method is to just expand into the territory of wildlife and wildlife be damned. And if humans prefer to live in a world with little wildlife, then there really need not be a further discussion. Just maintain this current strategy and this will happen, and it is happening at a frightening pace. There is of course ample opportunity to recycle previous developments and to take a brownfield redevelopment approach rather than a greenfield approach. However, that is an article for another time. The reality from this observer’s point of view is that hunters simply want to hunt. There will be arguments that dance around this issue – arguing that hunting is conservation, or that the black bear population is out of control. But, in truth, hunters simply want the opportunity to hunt something. But because they know they are often negatively viewed by the general public, they will attempt to spin this as if they are doing all of us a favor. From this writer’s perspective, I admit that there are those unfortunate times when an animal must be killed for conservation or environmental purposes; and those situations arise where there is simply an over-population of that animal. Of course, that over-population is our fault as well – as we either screwed with the eco system (killing too many predators like the wolf or mountain lion), resulting in san over-population of prey animals. Or we have reduced the animal habitat to such a confined space, they have no place else to go and are then deemed as becoming “nuisance” animals because they are infringing on our territory (which was their territory). It is ironic when you think about the fact that when the human population over-populates, we don’t hire hunters to reduce the human population to manageable levels. Rather, we simply take over more land to accommodate people. Animals generally don’t over-populate. We just force them into smaller and smaller habitats; and as those habitats become smaller, there is a perceived over-population. And the answer to that problem is to kill and reduce. The reality is that the black bear hunt will likely occur next weekend…short of any last-minute miracles. And assuming this hunt occurs, I hope this hunt truly exposes the Florida Fish and Wildlife Conservation Commission for what it represents and who it represents. The FWC is composed of hunters, developers and ranchers; those individuals with motivations contrary to the protection of wildlife and contrary to conservation ideals. If the Florida black bear suffers the fate we all fear, we can only maintain the faith and belief that positive change is often born from the ashes of ruin and devastation. But regardless, this will be a sad day for the state of Florida, for Florida residents, and for anyone that loves wildlife. 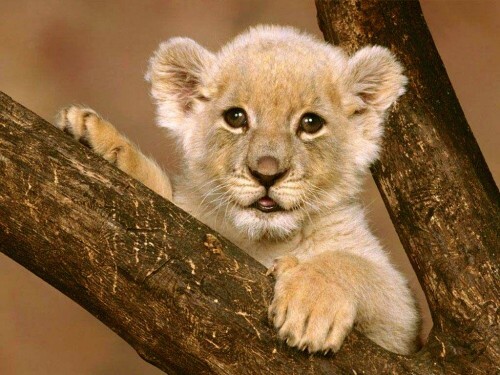 A young lion cub, born into a world completely vulnerable, blind for the first two to three weeks of his life. He is solely reliant upon his mom to protect him, to shelter him, to feed him. Yet, within a few hours of birth, he is ripped away and separated from his mom’s grasp. He is then bottle fed by human surrogates. Meanwhile, Mom is forced back into estrus, to reproduce again and again and again. Four years later, the lion cub has now become completely entrusting of humans and has no fear of them. He is released into a fenced-in area to roam about, albeit in a semi-drugged state – to ensure he remains lethargic and doesn’t stray very far. Little does he know there is no escape route in this fenced-in area. He sees a human approaching; but has no fear. That is because this human is no different from the human he viewed as his protector…his defender, his mother. So, he approaches this individual, who we will refer to as Joe Bob. He then sees Joe Bob holding something in his hand, but doesn’t know what it is. He observes that the object is long and is perpendicular to his body, one end facing the hunter…the other end facing the young lion. 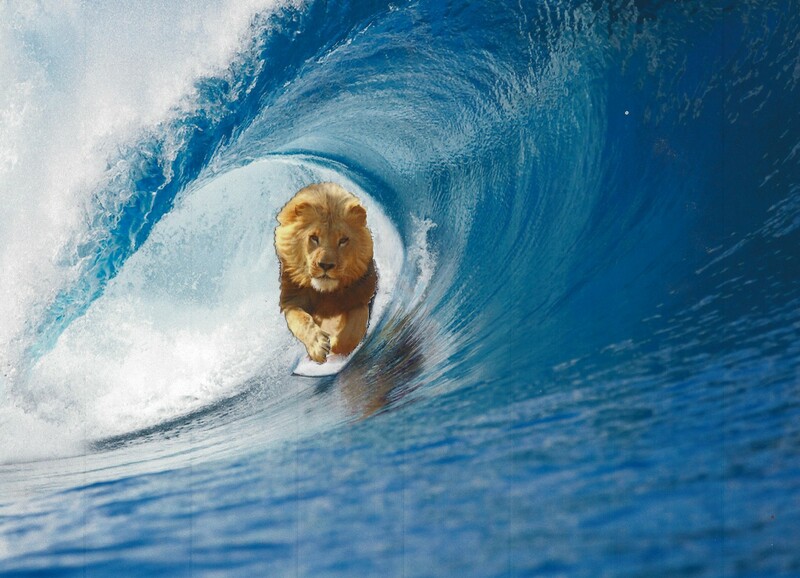 Of course, the lion has no reason to fear this human, nor whatever he has in his hands. So, in his drugged state, and out of curiosity, he moves closer. Perhaps this kind-hearted person has food to share. Suddenly, the sound of gunshot. The lion buckles from the intense pain and collapses to the ground. 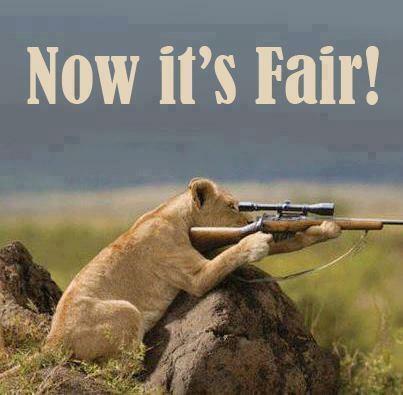 Unfortunately for the lion, Joe Bob is not a very good shot. He was a simpleton…born into wealth but without the good sense to spend his money on positive societal contributions. So, he must pay a handsome fee for a “guaranteed kill”, to offset his lack of skill as a hunter and lack of compassion as a human being. Mercifully, a professional hunting escorting this hunt steps in and mercifully ends the poor young lion’s suffering. The lion’s final thoughts are those of betrayal and confusion. 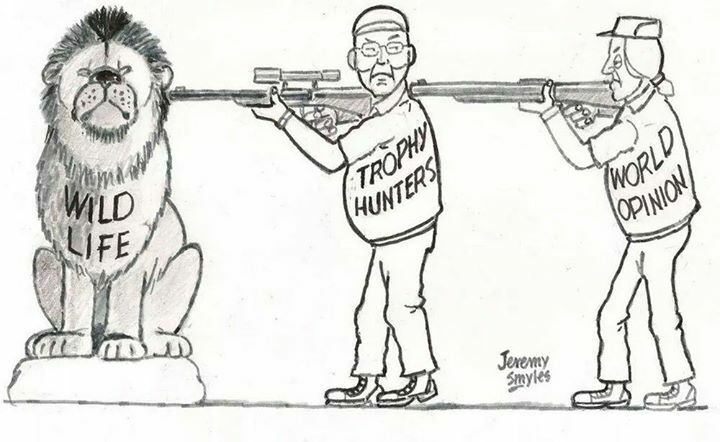 This is known as a canned hunt. It is brutal It is savage. It is deplorable. To put this as blunt as possible, it is sick. And in the 21st century, it is also legal. Is it ethical or moral? Far, far from it. In fact, it is hard to envision a scenario any more inhumane or cruel than this. Not just the final moments of his life, but the entire cycle…from separation from his mother, the deplorable conditions of which he exists, and his brief existence — serving solely to satisfy the ego of someone who believes the mighty lion is best suited to serve as a conversation piece over a fireplace. This is so shocking, that many people have no idea that this barbaric activity exists today. And many people would view this as so incredulous that surely it is an exaggeration; that no one would stoop to this level to treat another living being. Yet, it does exist. And on Wednesday, October 7 at 10:00 p.m. EST, MSNBC and on the Discovery Channel around the world, the long-awaited premiere of Blood Lions will finally be premiered; and it will lay bare the dark underbelly of South Africa’s captive breeding and canned hunting industries. The link to the trailer is found below. However, a warning to the weak of heart; the trailer and the actual documentary may be deeply upsetting and tough to stomach. Unfortunately, this may be necessary to shed the light and bring out the truth that has been hidden for so many years. 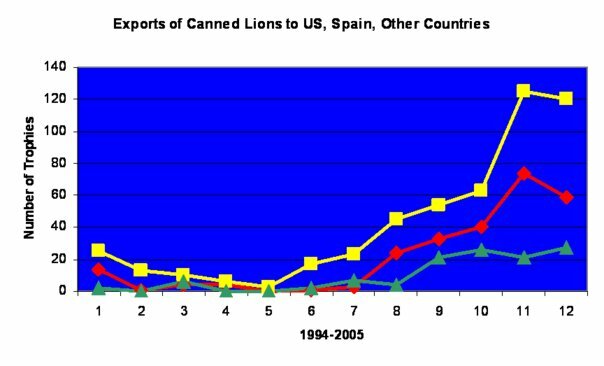 Of course, the captive lion breeding program or canned hunt is no different from any other marketable product. Without demand, there is no supply. So, enter Joe Bob. And it is unlikely that any representative within the hunting community, or a hunting organization such as Safari Club International would actually admit the truth. You ask why? Okay. If you have read some of my previous posts or other articles written on the subject – which probably number in the thousands by now, you probably have a general understanding of the conservation argument. 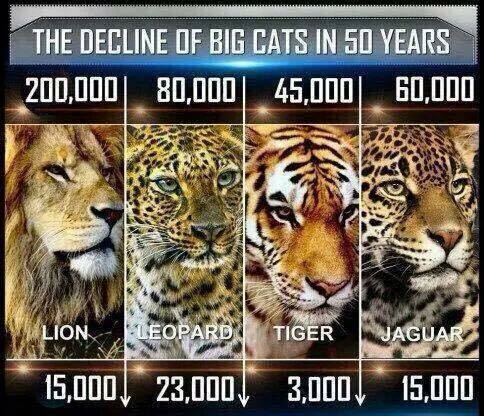 However, this is THE issue that trophy hunters use to justify the killing of lions and other animals. So, I will briefly provide this explanation again. The good news for you, the reader, is that the reasoning itself is not subject to debate. Both sides generally agree as to the why; the dispute is in the reality and accuracy of the argument. So to keep this is as basic as possible; the pro hunting community argues that they are conservationists, because trophy hunters spend top dollar to purchase the licenses required to hunt these animals. Most of these African countries establish an annual quota of animals to be shot; with that quota established to theoretically maintain a healthy balance of the surviving population. The revenue generated – argued by the hunting associations – is $200 million per year. And that $200 million is then filtered back down where it can be used for conservation purposes and to support the local communities. 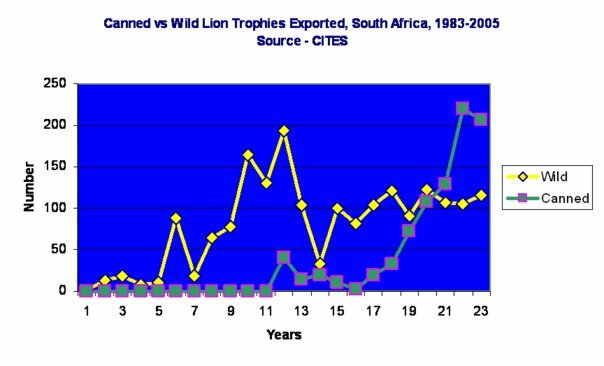 This theory is sound in its logic; with the $200 million number based upon a 2006 publication entitled, Economic & Conservation Significance of the Trophy Industry in Sub-Saharan Africa (Lindsey, Roulet and Romanach). 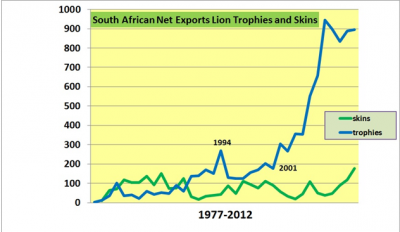 However, in February 2013, The African Lion Coalition published “The $200 Million Question: How Much Does Trophy Hunting Really Contribute to African Communities”; in an attempt to verify not only the legitimacy of this $200 million number, but also to determine the true economic benefits of hunting to the local economies – the primary component of this argument. The origin of the $200 million estimate is from a variety of sources, with $100 million of that total provided by the South African Professional Hunters Association (PHASA). However, despite repeated attempts by the African Lion Coalition to obtain the necessary documentation and source of this estimate, PHASA failed to provide any further documentation in support of this number. And given that this information was provided by a pro-hunting organization clearly benefitting from the existence of trophy hunting; and with no source of origin, it should be accepted with great caution and skepticism. One might even wonder if this was an erroneous doubling up of the first $100 million derived from the other combined sources. 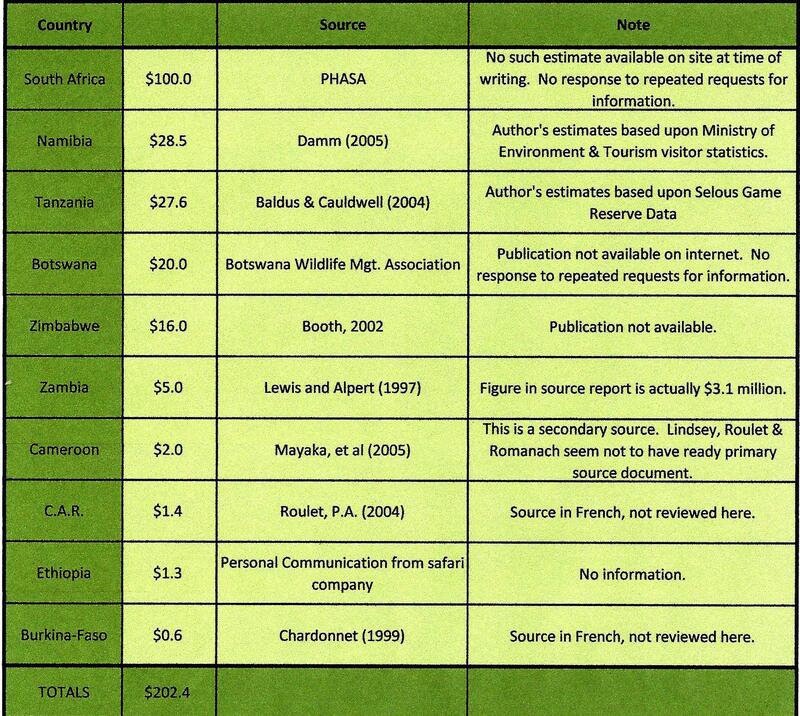 In fact, as noted in the chart below, the only two documented sources of information were Namibia’s $28.5 million – provided by the Ministry of Environment and Tourism; and Tanzania’s $27.6 million – provided by the Selous Game Reserve Data. The African Lion Coalition also determined that Zambia’s $5 million was overstated, with an actual figure of $3.1 million. 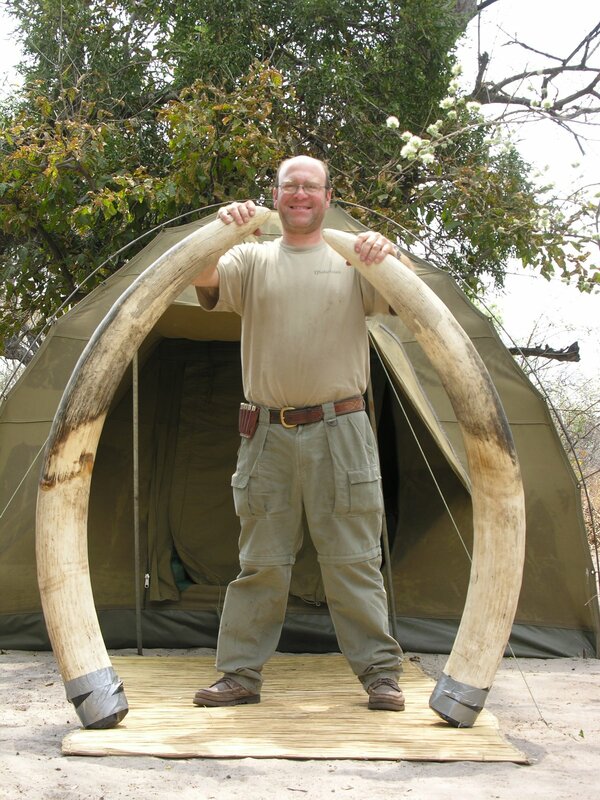 Unfortunately, the Lindsey, Roulet and Romanach is the only known continent-wide study of trophy hunting available, so it is constantly sited…accurate or not. That said, according to the African Lion Coalition, these same three authors also provided another study in 2005, And in that study, they estimated South African trophy hunting revenue of between $68 million and $81 million. So, can we put any faith or trust in any of these numbers…other than those provided by legitimate and confirmed sources? Yet, despite the discrepancy, whether $100 million or $200 million, there is no question that this is a significant amount of revenue that is generated by the hunting industry. So, the more important question is how much of this revenue actually filters down to the local communities? According to both the pro hunting organization International Council for Game and Wildlife Conservation and the UN Food and Agriculture Organization, only 3% of total revenues actually filter back to the local communities; which might be better described as a trickle or even a drip. The majority of the revenue accrues to hunting firms, governmental agencies and individuals located internationally or in national capitals. Simple mathematical calculations suggest this 3% equates to somewhere between $3 million and $6 million annually (based upon the assumption that $100 million to $200 million is an accurate revenue range). And keep in mind that this number is representative of the entire continent; so the actual benefit per country is substantially smaller. The African Lion Coalition, in their study, also concluded that hunting revenue only contributes .04 of 1% to the gross domestic product of those African countries; and hunting revenue only represents 1.77% of total African tourist revenues. 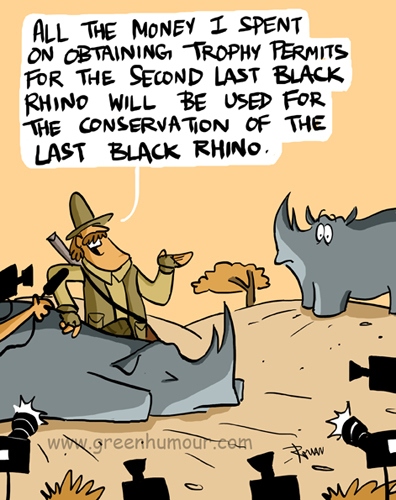 So, does trophy hunting contribute to the local economies? Yes, but in an extremely nominal amount. And keep in mind that the $100 million to $200 million estimate represents revenue from the trophy hunting of all animals, not just lions. The buffalo, for example, contributes 22.1% of trophy fees to Tanzania, far more than any other species. And further studies by the African Lion Coalition have determined that a reduction of lions hunted would have a minimal impact on the overall revenue of the industry. So in truth, it could be argued that actual revenues and benefits to the local communities tied to the trophy hunting of lions is nominal at best. The narrator of Blood Lions, Ian Michler, spent 25 years in Africa as a specialist safari operator, journalist and conservation advocate. 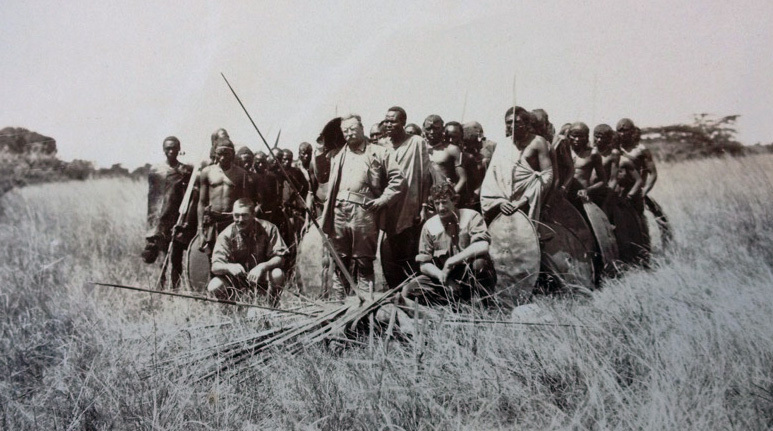 In the 1990’s he was living full-time in the Okavango Delta, and during this period, he began learning about the lion farms and canned hunting. According to Michler, there were an estimated 800 to 1,000 lions living in cages in 1999. By the time he submitted a report to the Botswana Minister of Environment and Tourism in 2005, there were an estimated 3,000 to 3,500 captive lions. Today, there are an estimated 8,000 captive lions, tigers and leopard in Botswana. Defenders of these lion farm facilities will argue that they exist for education and conservation purposes. However, there are currently no South African ecologists trying to re-establish lion populations. 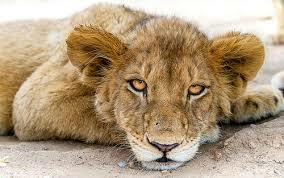 Additionally, lions are among those species that cannot be re-wilded after being hand reared. 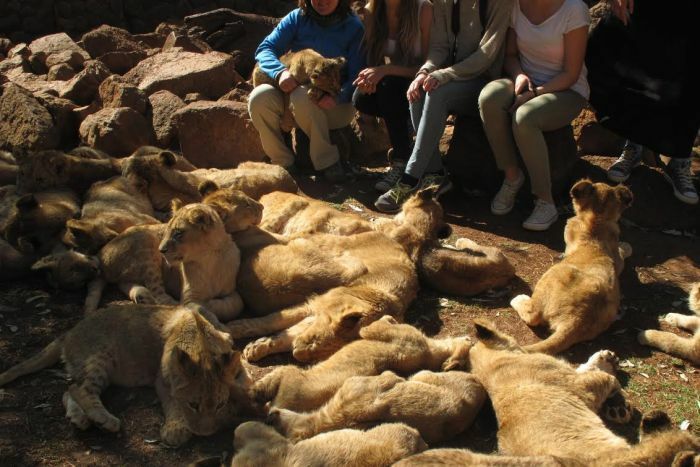 Yet, many of these organizations continue to promote these falsehoods and even recruit unwitting volunteers to pay up to $1,000 to go work these properties, with the understanding that they are simply caring for these orphaned lions until they can be released back into the wild. According to Michel, they initially reached out to Australian and American audiences with a promo clip to help raise money to get the documentary made. An Australian organization – For the Love of Wildlife saw the clip and took it to their Parliament, from where it made its way to the minister of the environment. It caused outrage. And this should not be an acceptable practice on our watch either. It is time to stop this barbaric and inhumane practice once and for all.